Unable to sleep, I took a drive around Memphis. 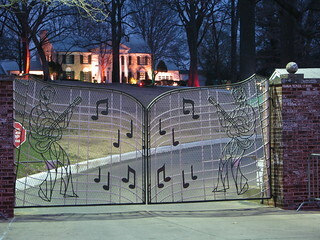 Was surprised to find Graceland lit up. The gate was lit beautifully and I was happy with the result. Took some additional photos for posting.